You are excited about this long road trip and so are your loved ones. Once you get into the car, the engines don’t start. Even the headlights won’t turn on. This can be an annoying experience. Fortunately you can diagnose the cause quicker and cheaper. More often than not, your battery can be the culprit. Your car battery doesn’t work like a water bottle or tank of electricity. You can’t use it till it dries off. It works based on a combination of chemicals that works together to create electricity. That is why most battery issues you come across will be a chemical issue. This is the most popular, the safest and most effective car battery test, according to Mia Bevacqua. You will only require a set of basic tools. Grab these tools before proceeding with the method – Digital multimeter, safety glasses and protective gloves. Here are the six steps to successful testing of your vehicle battery. You are thorough, given you didn’t skip these steps. Batteries are most likely found under the hood, near the fender. But there are exceptions. Some car makers tend to place battery in unclear places. Its location could be in the trunk, the backseat or even the wheel well. That’s how troublesome are some manufacturers in the automotive industry. When you can’t locate the battery, refer your owner’s manual. Some research on your car model should give out location of the battery. As a rule of thumb, you must turn off ignition and headlights before testing the battery. Once it’s done get your equipment ready. Touch black lead in multimeter to negative and red to positive battery cable. When it’s matched wrongly, you would see an awkward negative reading. It is remainder for you to correctly match leads to cables. Switch meter to DC Volt settings. It would present the DC reading with a line above it. Make note of the voltage reading on your multimeter screen. Different volts would mean different levels of charge. Checkout this reference table before inferring results. 12.66 Volts represents a completely charged battery. 12.45 Volts represents a battery that’s more than sufficiently charged. 12.24 Volts represents a half charged battery. 12.06 Volts represents an inadequately charged battery. 11.89 Volts or less voltage represents an out of charge battery. These readings holds true for 80 degree Fahrenheit of battery temperature. Voltage will increment by 0.1 per every 10 degrees increment in temperature. 4. What to make out of the results? If your battery is above 12.45 Volts, it is fully charged. Any lower readings demands recharge and repeated testing. Prepare to charge it up for full testing of battery. A state of charge test doesn’t reveal anything about the condition of your battery. State of charge test tells you whether the battery is sufficiently charged or not. A good battery should hold a charge after its recharged. A bad one won’t be able to do that. If your previous readings meant the battery is sufficiently charged, there is nothing wrong with the battery. If the reading buy crestor rosuvastatin 10 mg meant otherwise, we have to recharge the battery to check if it holds charge. 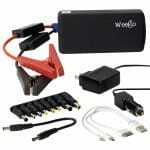 Battery can be charged either with a portable battery charger or an alternator. If you are using an alternator, jump your battery and drive the vehicle for half an hour at more than 40mph. Alternatively you can remove battery and let auto parts store charge it up for you. Most stores do this for free. Once battery is fully charged, you can test its condition. You can do the full testing with either a load tester or an electronic tester. Load tester applies a certain load on battery, while the voltage is monitored by the tester. If voltage drops below 9.6, your battery needs to be replaced. Electronic tester sends out a frequency over the battery to check the conditions of cell inside. ChrisFix YouTube channel presents a video exclusively on testing battery with a multimeter. The video is quite detailed and extensive too. Testing battery with a multimeter is the popular method. Nevertheless, there are alternatives. If you are wrongly resourced, these alternatives could come in handy, especially during emergencies. Cranking the engine tells a bit about your battery. Turning the ignition on till the starter engages is the way to crank an engine. Hold it for another two seconds. Have a helper crank engine, while you check battery’s voltage. While the engine is getting cranked, check readings with a power probe. The readings should be equal to or greater than 9.6 Volts. When the voltage drops below that, the battery didn’t hold or accept charge. Remove the positive terminal cover of the battery. Connect the positive lead of your power probe to positive terminal in battery. Positive lead is usually red. Similarly, attach negative lead in Power Probe to negative terminal in battery. Connect tip of the probe with positive terminal in battery. Note down the voltage shown by probe. Voltage in range of 12.4 to 12.7 means the battery can hold charge. Hence the battery is in good condition when it happens. Before putting your battery on a litmus test, you can guess its condition based on few factors. 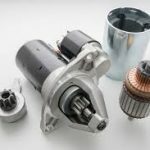 Lifetime for most automotive batteries is 4-5 years. Such is the timeframe for guarantees on the batteries too. Nevertheless, a lot depends on how long the battery has been stocked before sale. Buying a battery that’s just a month or less old, would be the best way to go about purchasing it. Make of the battery matters too. A good battery will accept and hold charge. It easily recharges prior to returning to service. Most importantly, it will not be over four years old. A bad battery wouldn’t meet these requirements. This guide is completely in line with the DIY route. 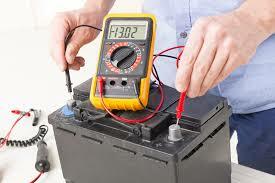 You can also seek free or low cost services for testing your car battery. When you don’t have the tools in hand, it is not a bad choice.